Find every rule you need, from messages on swimwear and hygiene, to reminders about lifeguards and adult supervision. 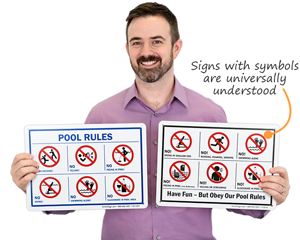 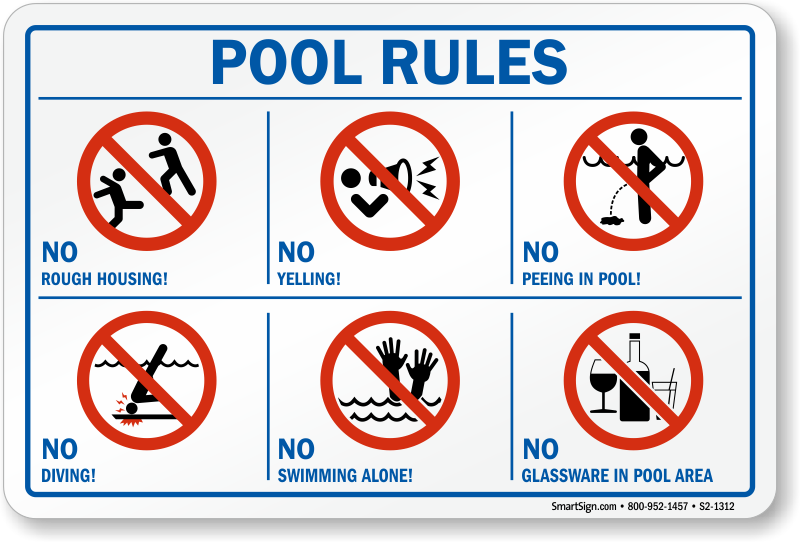 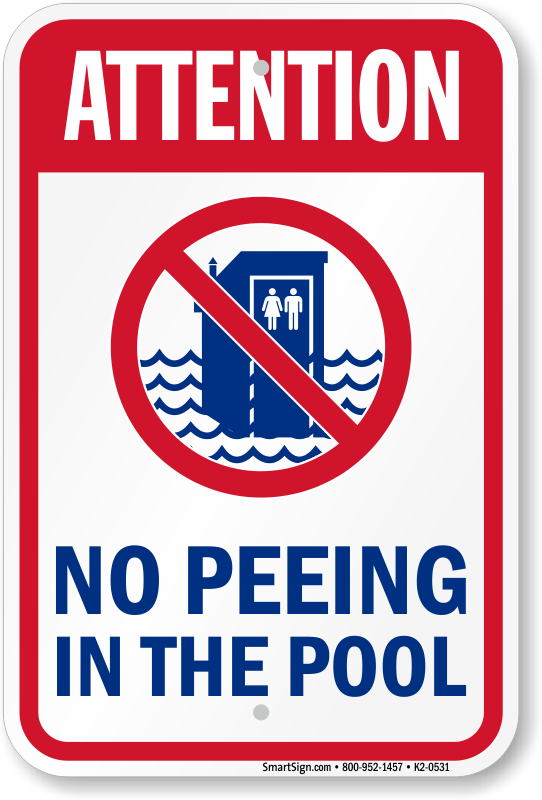 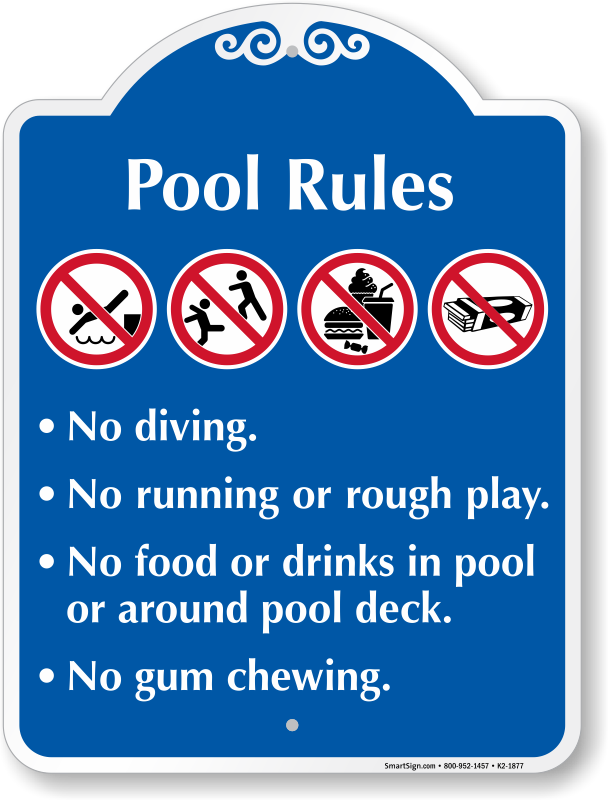 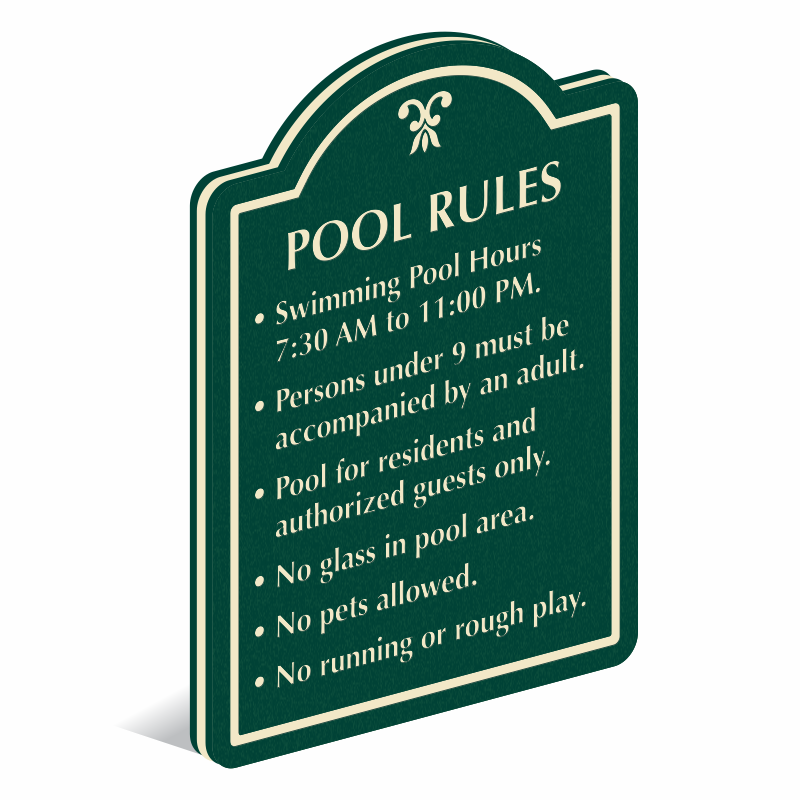 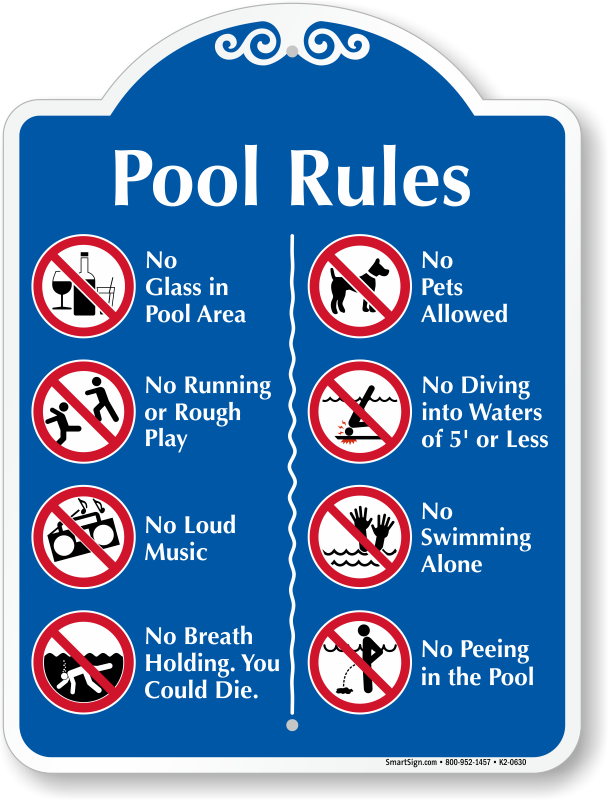 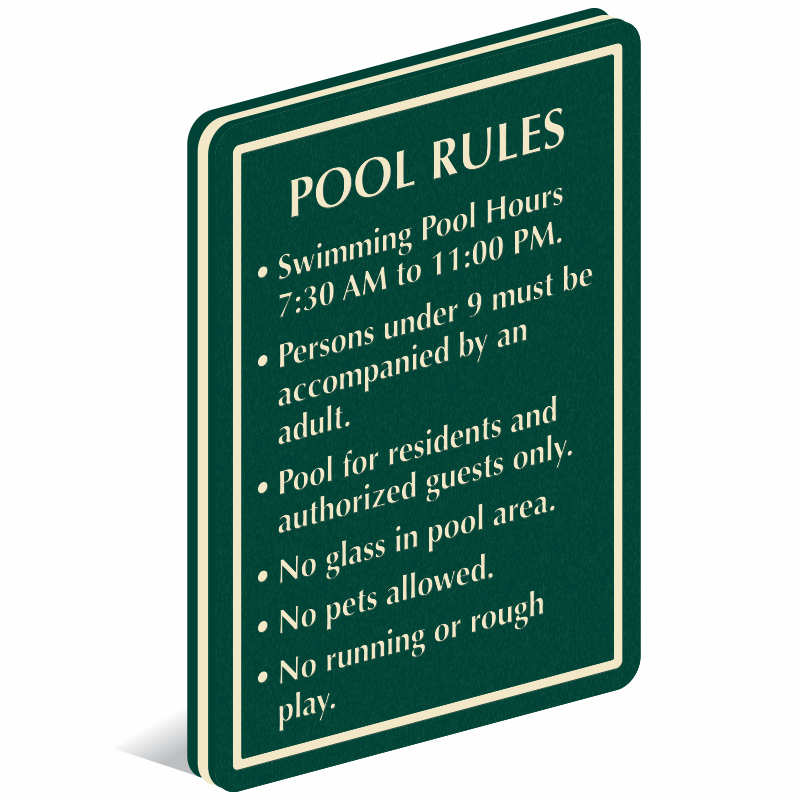 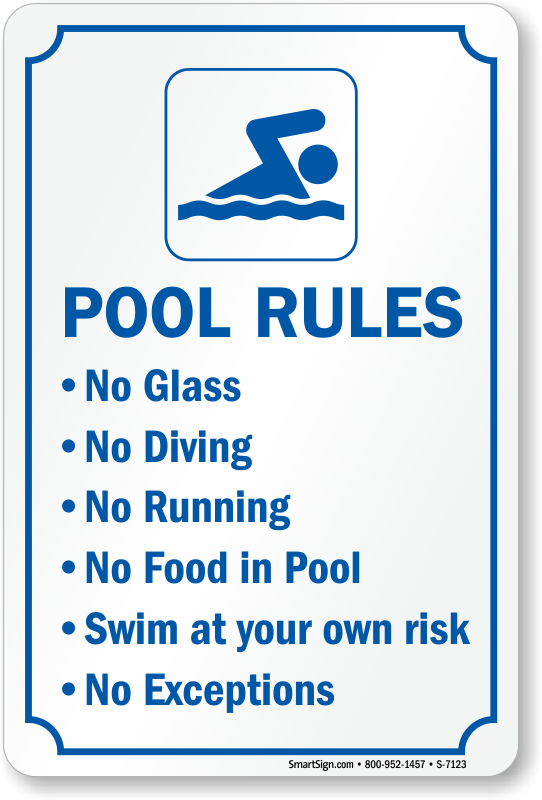 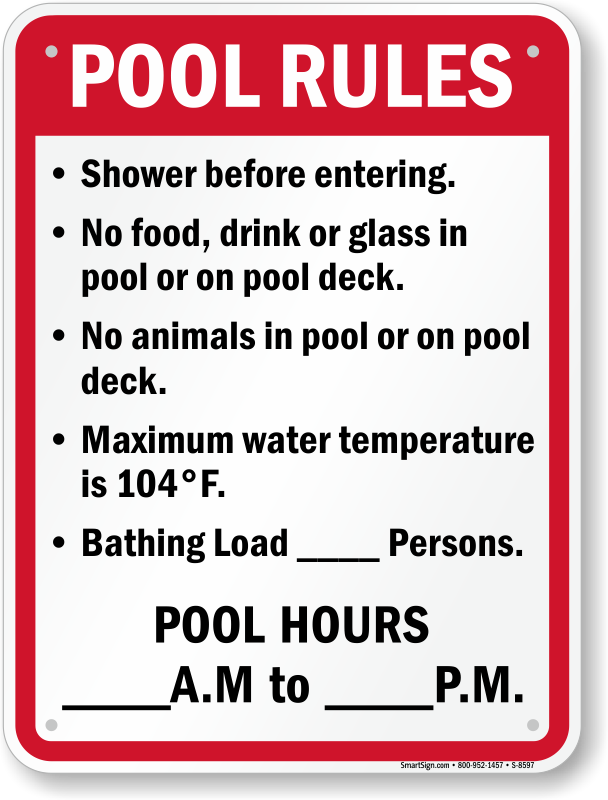 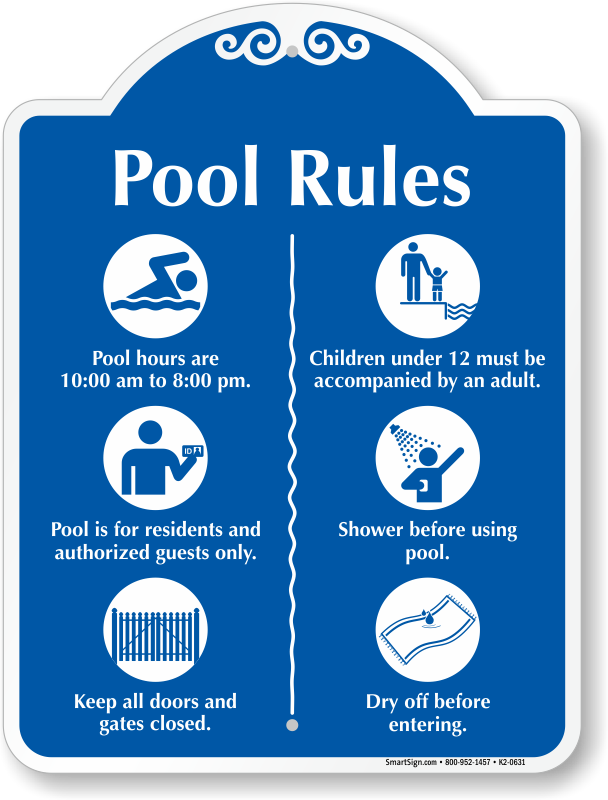 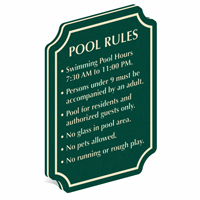 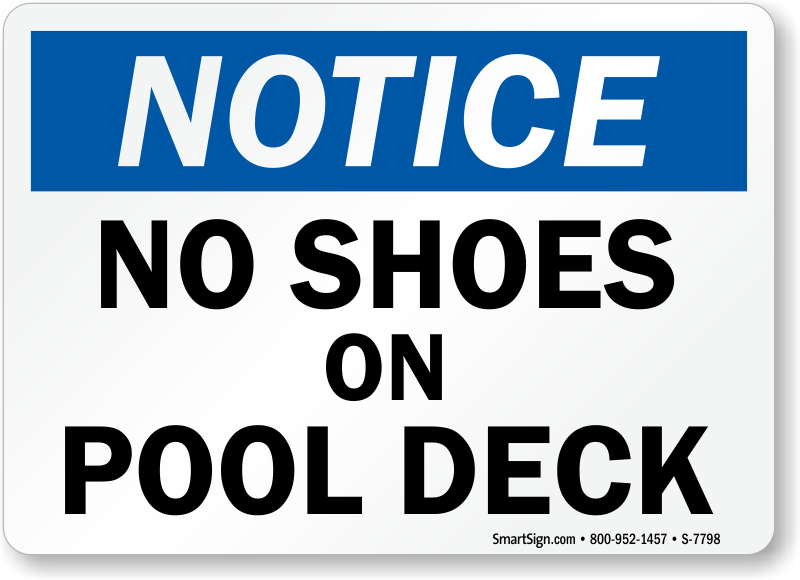 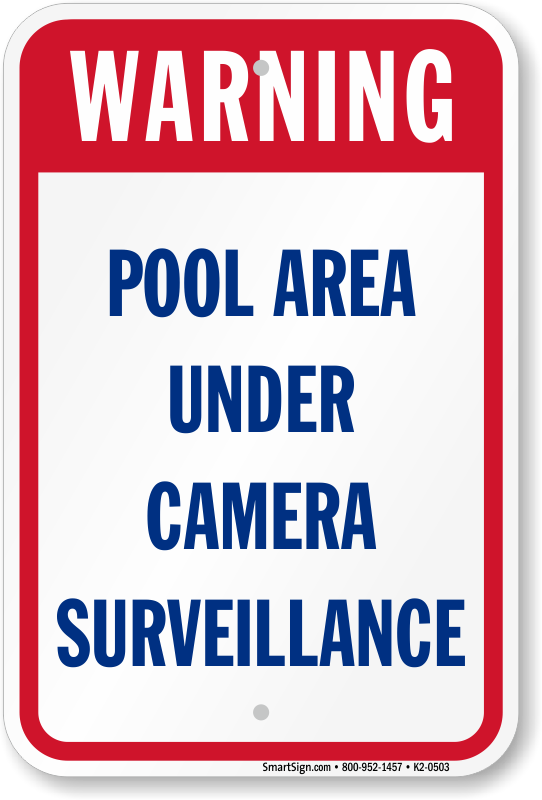 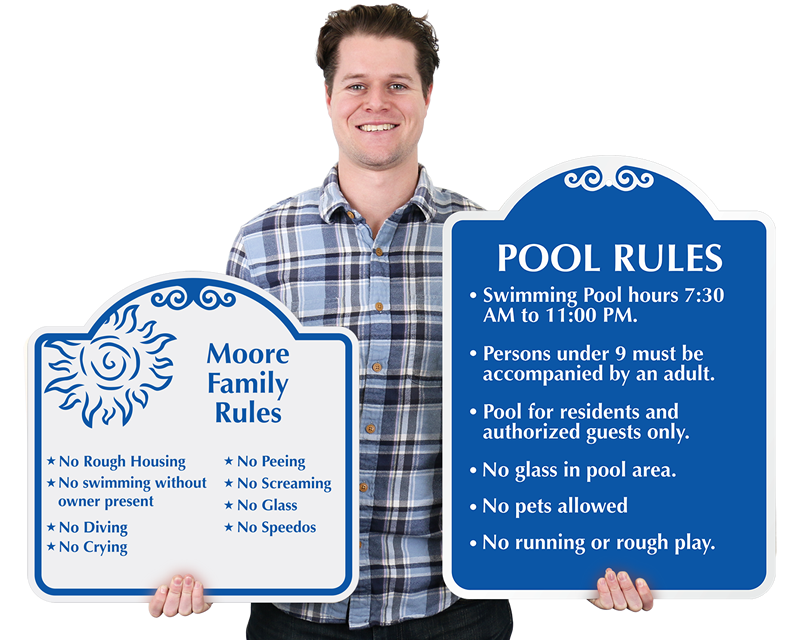 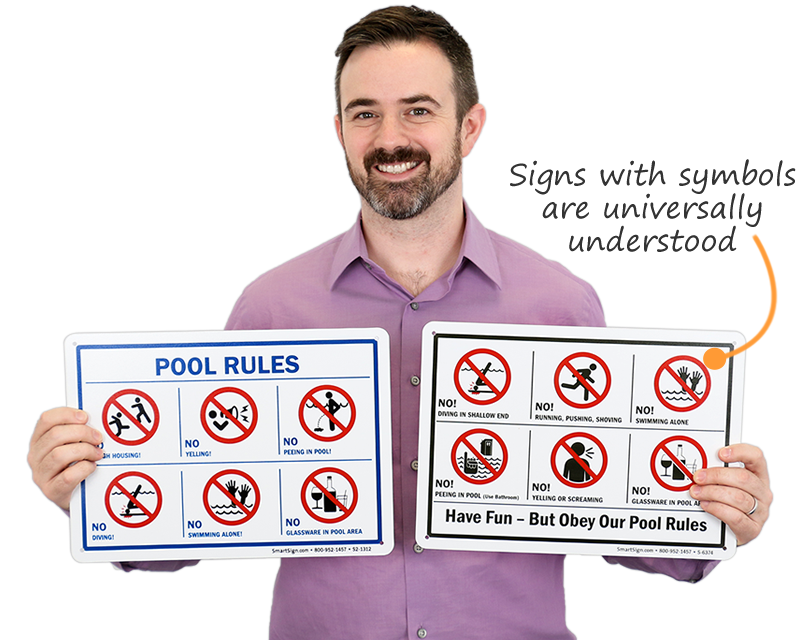 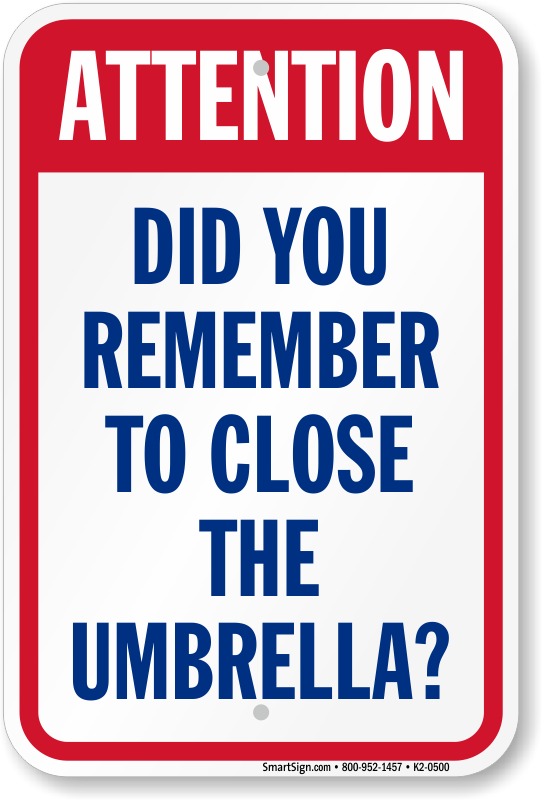 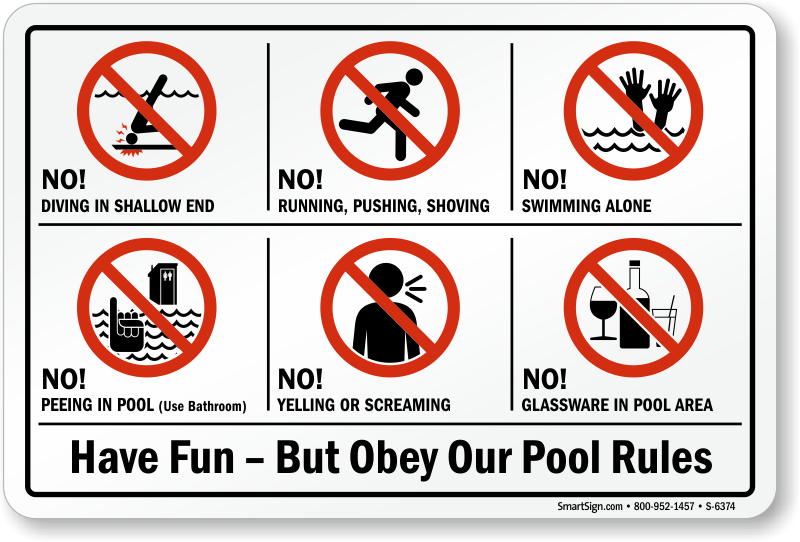 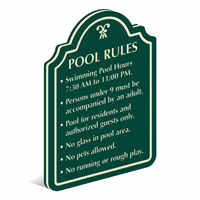 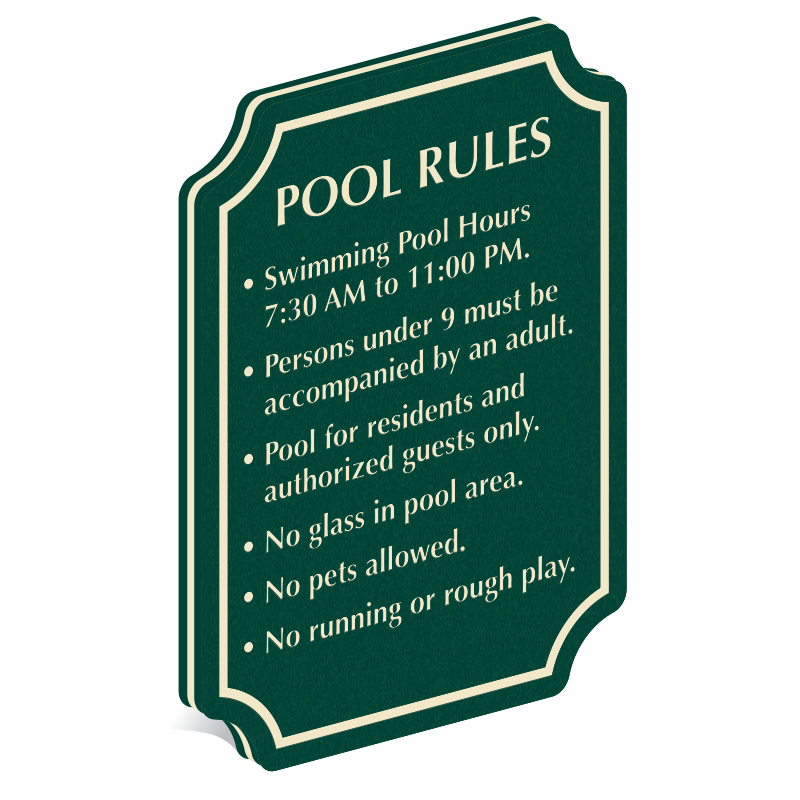 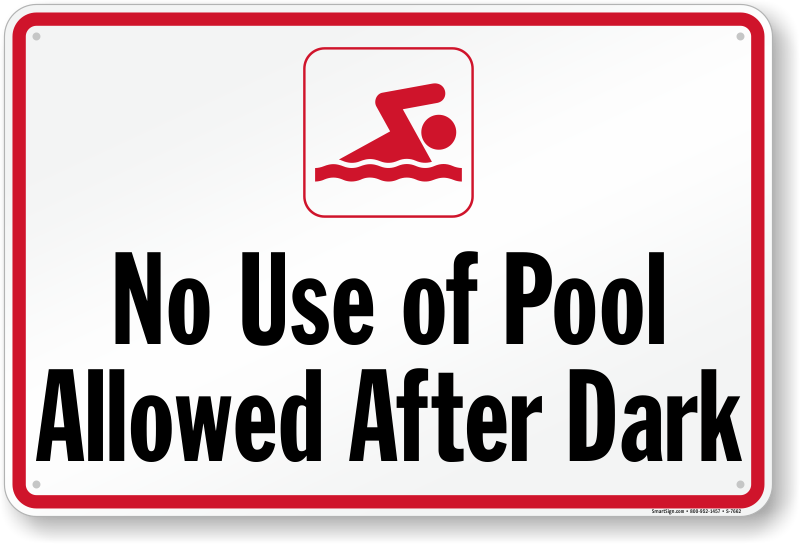 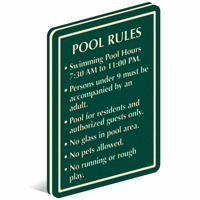 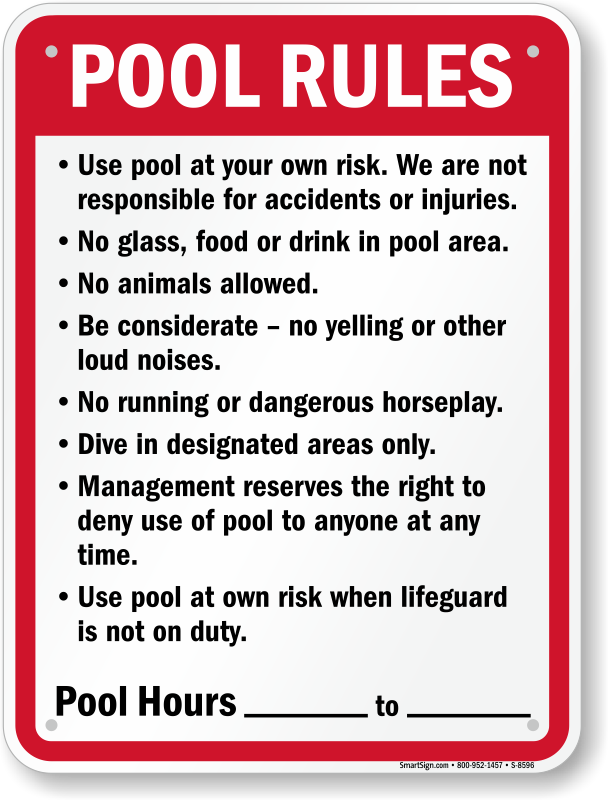 Our variety of Pool Rules Signs and labels keep your pool area safe. 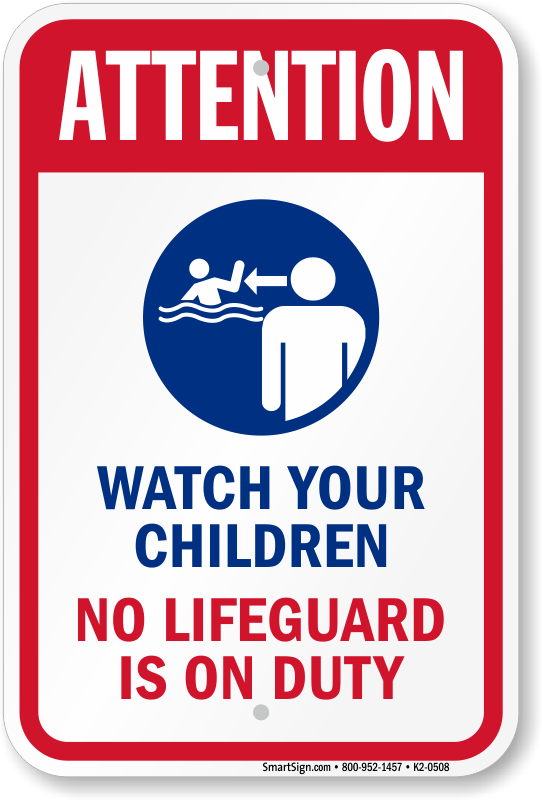 • Make swimming safe and fun. 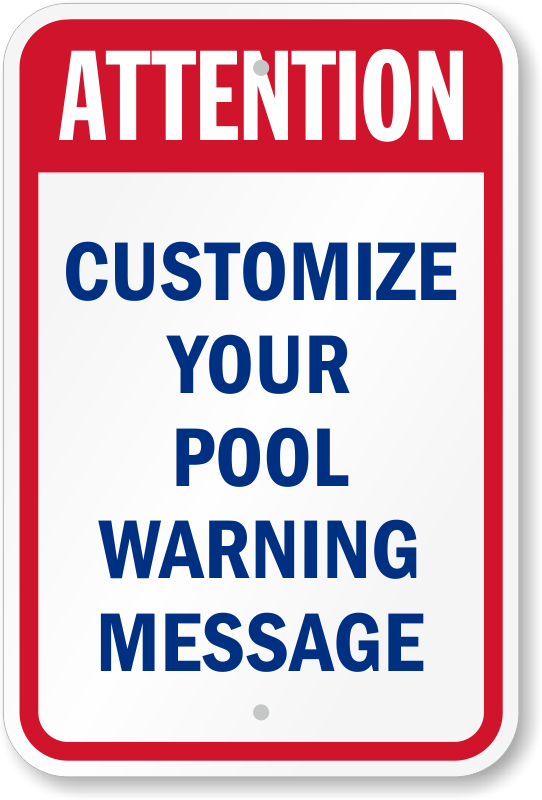 Striking signs are guaranteed to grab attention. 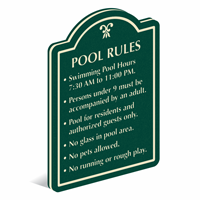 • Printed on waterproof, heavy-duty, rustproof aluminum or lower cost plastic. 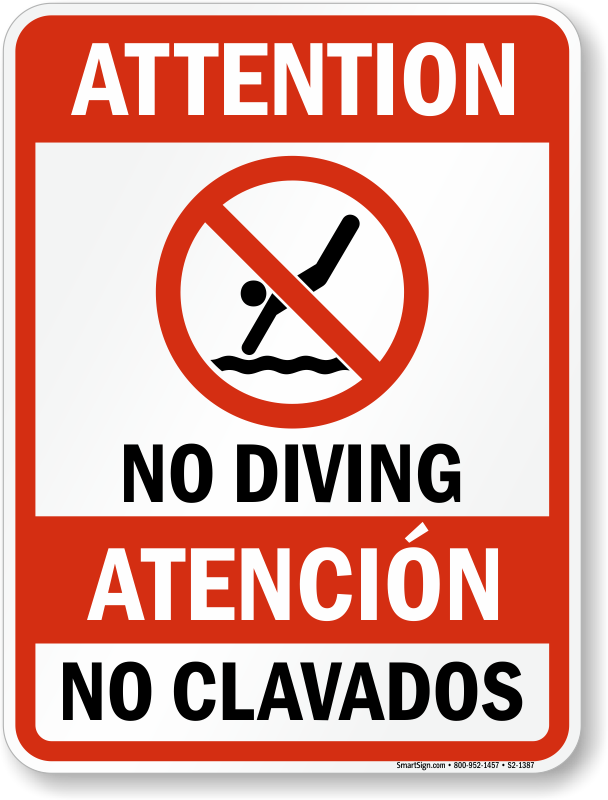 • Still swimming? 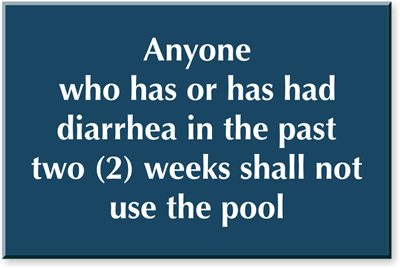 If you have any questions, call our customer service team. 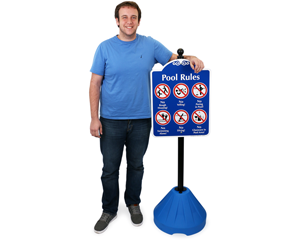 Anti-slip, waterproof material, designed for concrete and tile. 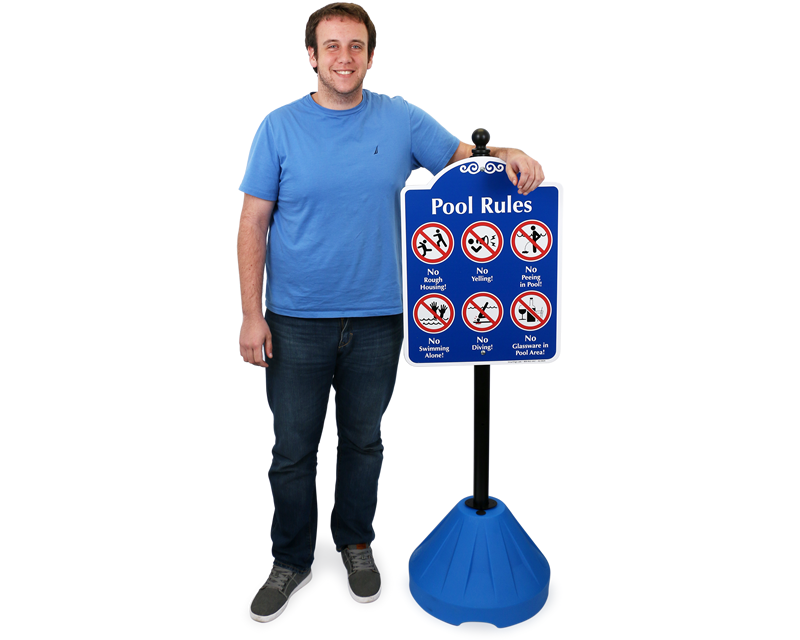 Our best selling designs are below. 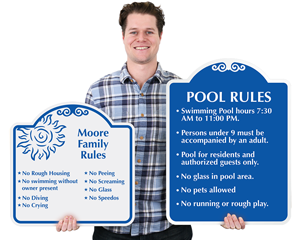 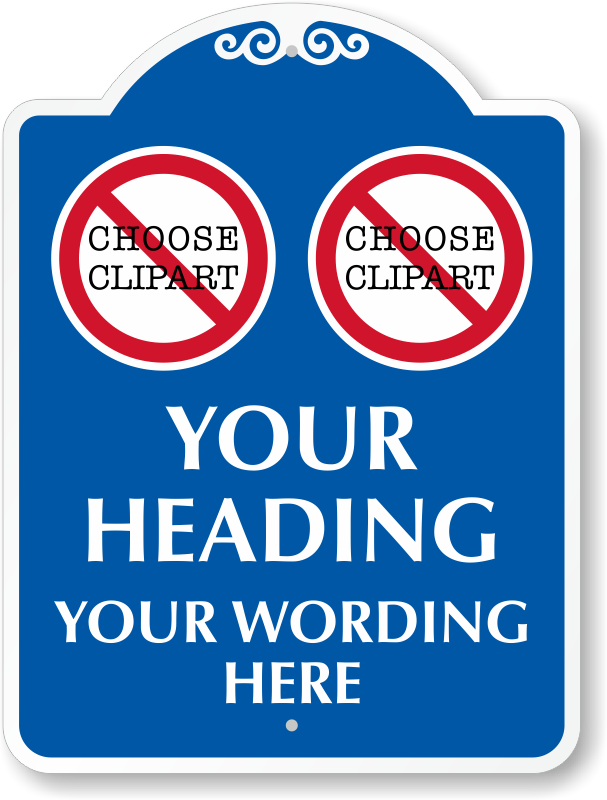 For state-specific rules signs, click here.To look through our complete line of custom templates, click here. 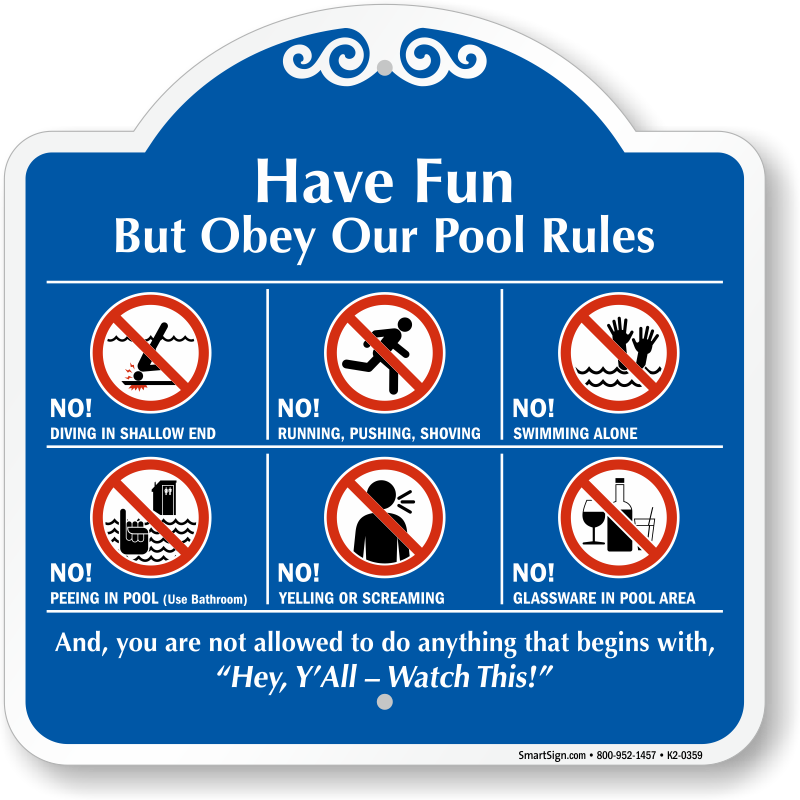 the sign and stand were great. 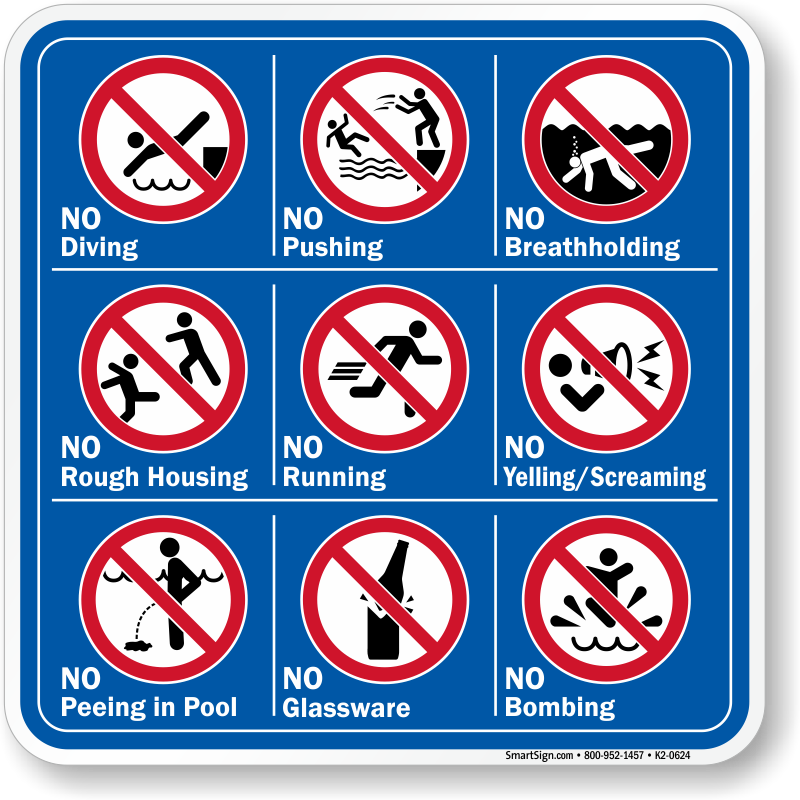 everything turned out nicely. 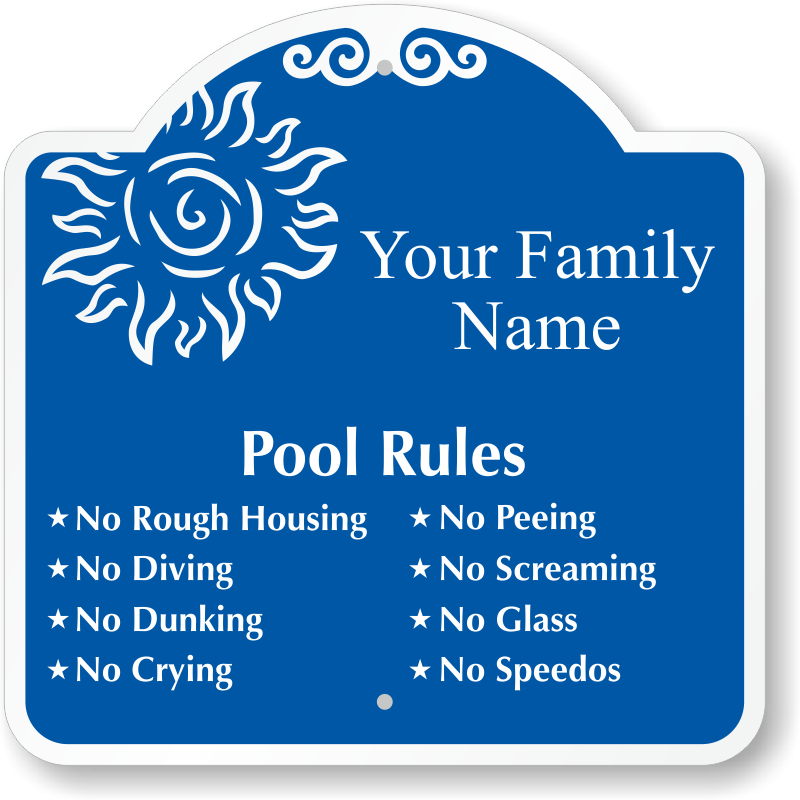 We like our sign. 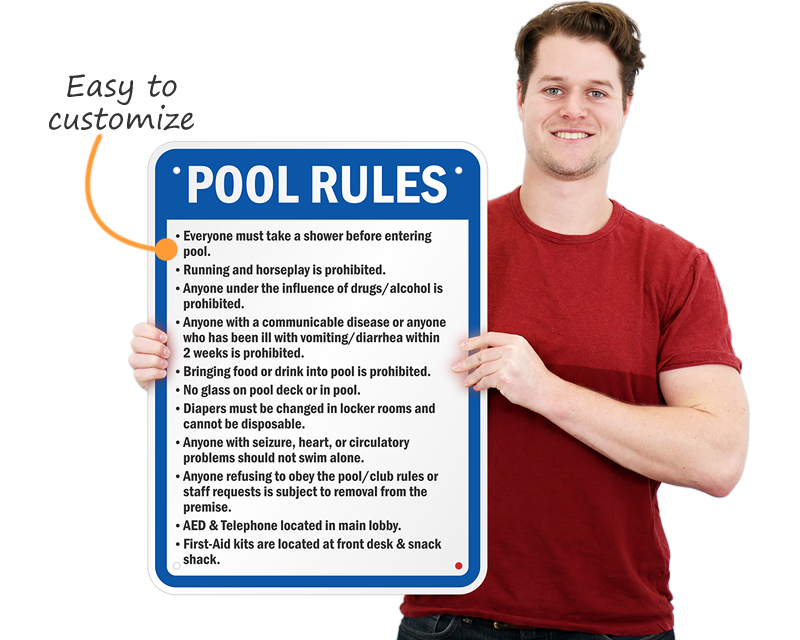 It was easy to order and quick to be delivered. 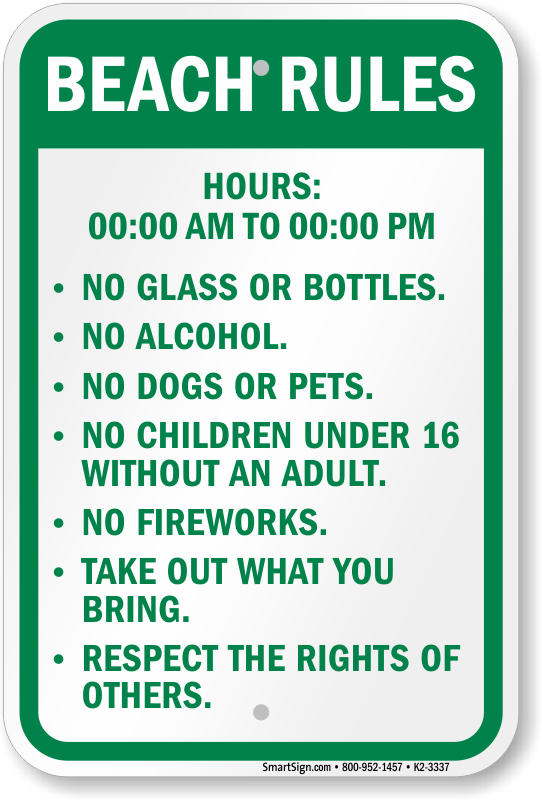 This site was great and reasonable - made my own sign, they reviewed printed and sent in such a timely manner. 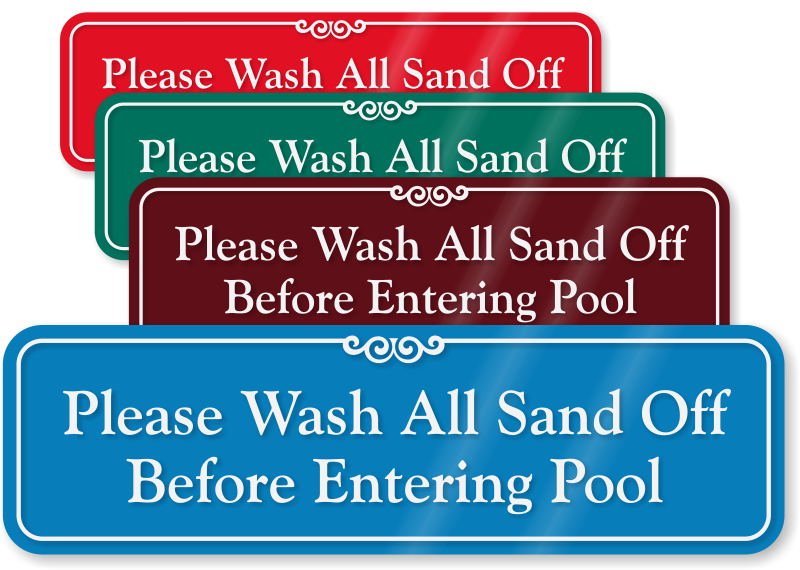 These signs can save a life, if not a lot of hassles. 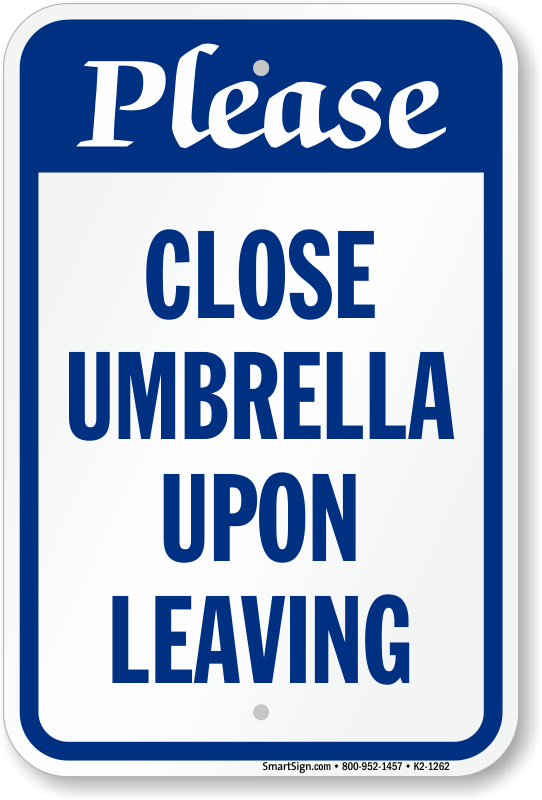 Thank you for all your help - great job and well done.